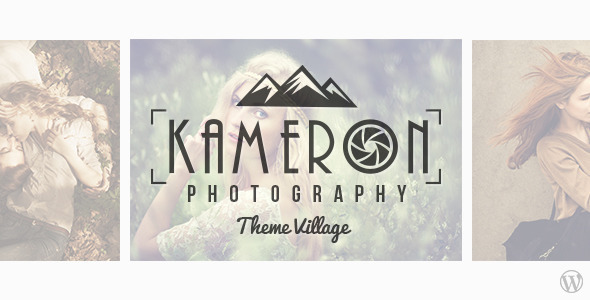 Kameron 1.0.4 newest version : Released on May 26th, 2014. We specialize in creating WordPress Portfolio themes exclusively for Photographers. We spend a lot of our time talking and listening to photographers all over the world to better understand what exactly photographers need in a portfolio theme. Kameron is the result of this collaboration. We created this theme with everything you need as a photographer, and nothing you don’t! We don’t believe in 100s of shortcodes and features that no-one is going to use! At the same time, we want to make it as easy as possible for you to personalize your site by giving you the features that you can actually use without any wordpress or programming knowledge. We do our best to create usable interfaces and fresh, exciting designs and Kameron is exactly that!